From a very early age, I remember my mother collecting elephants. I cannot say what her motivation was, but she had all kinds of them, from toys to more decorative display pieces. After her passing, I received a few of her collection, as did my siblings. For me, it became a personal vow to carry on the tradition. Within this article, I hope to chronicle them, and thus record their history. When my time comes to leave this mortal coil, I hope this story is still around to share with my daughters, and their children, and maybe, one of them will carry on the tradition into future generations. 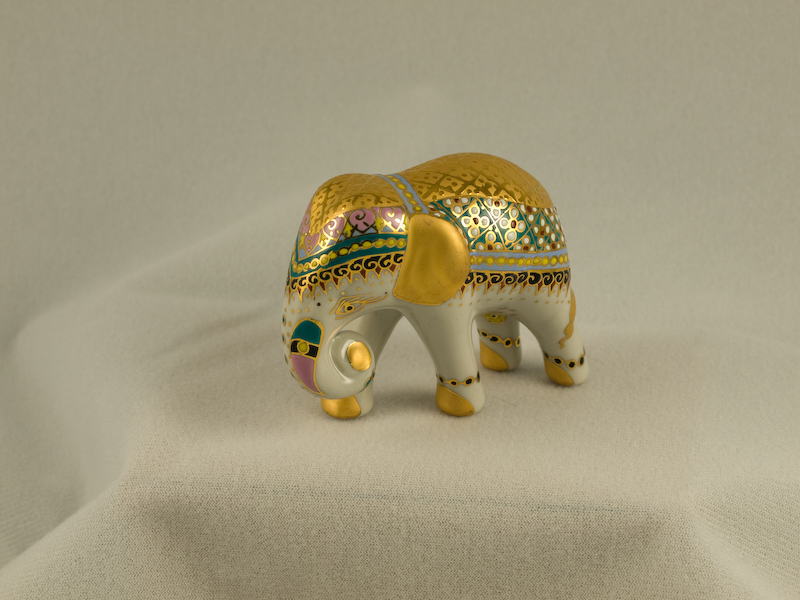 I purchased this elephant in Bangkok, Thailand in May of 2008. It is approximately 2.5 inches in height. Benjarong is a fine ceramic painting style that literally means five colors in Sanskrit. This style of painted ceramic dates to the 13th century, although this piece is done by modern artisans, reviving the ancient tradition. 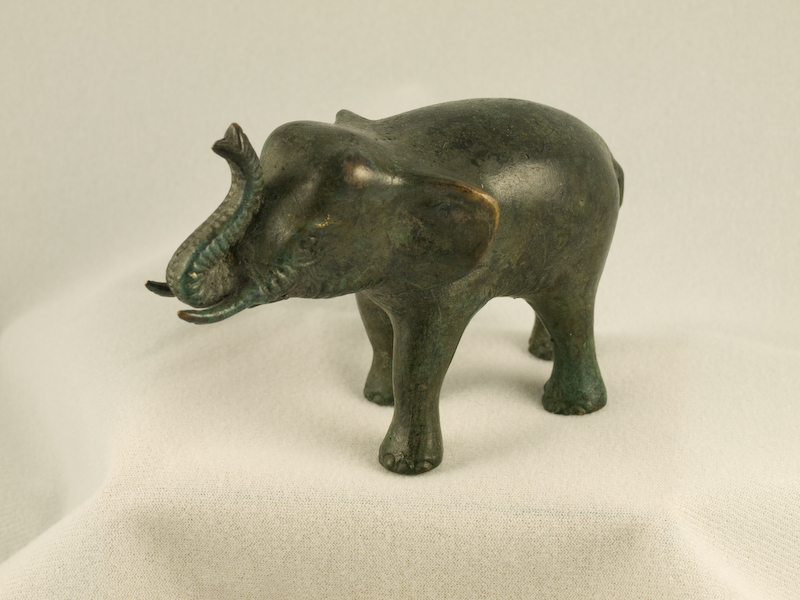 Although I cannot be sure of the history, I was told when I acquired this elephant that it was taken from an excavation of a small 15th century palace in northern India. If true, it is my only true piece of antiquity. it is about 3.5 inches in height. 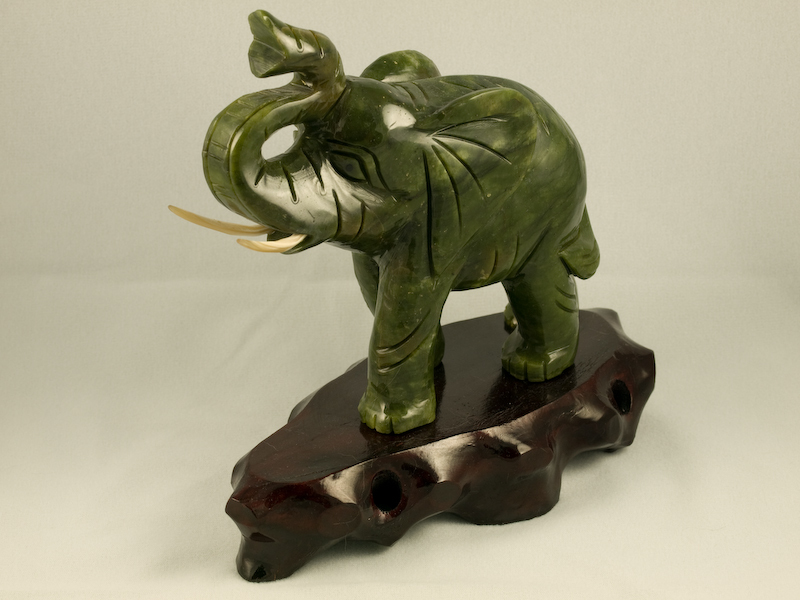 I purchased this elephant carving in Chinatown, San Francisco, in 1987 as a gift for my mother. After her passing, it came back to me. It is small, maybe 1.5 – 2.0 inches in height. 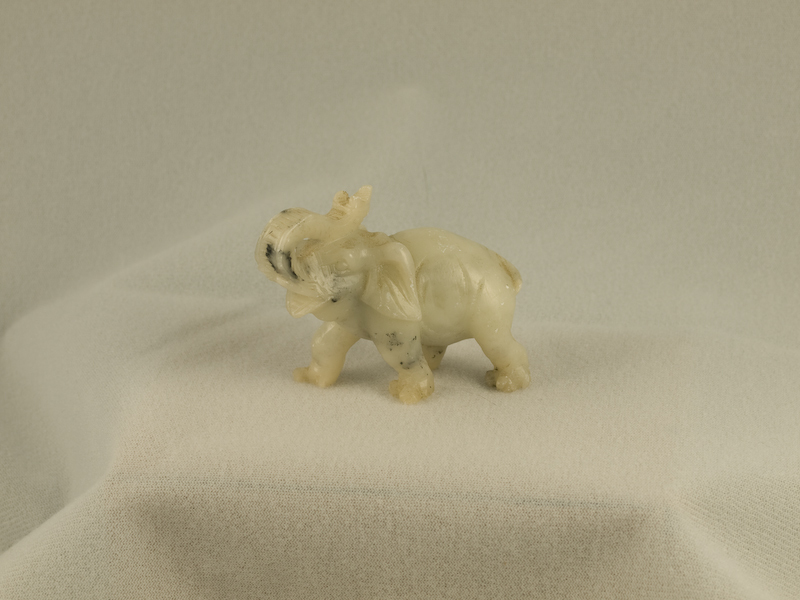 I bartered for this jade carving in Chinatown, in 2006. It uses boar’s teeth for the tusks, and is approximately 6 inches in height. I believe my daughter, Jennifer, gave me this elephant, but I’ll have to verify that. I’ve snuck (sneaked?) a couple of elephants into your collection and waited to see how long it would take you to notice. 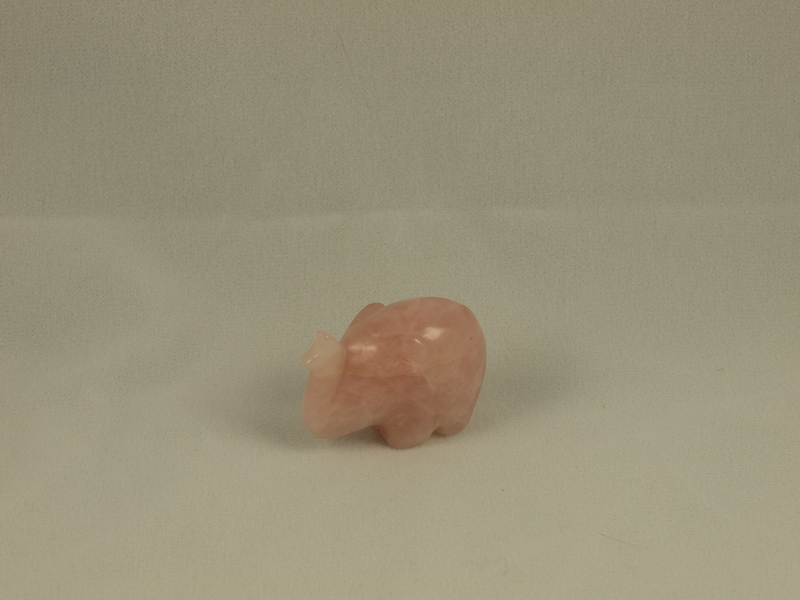 Yes, the pink quartz elephant is from me. The hardest part of identifying anything new is the fact that decorations change by holiday, in our house!